Adam Yates (Mitchelton-Scott) claimed victory in stage 3 of the Volta a Catalunya today, after a thrilling five-man battle on the summit. 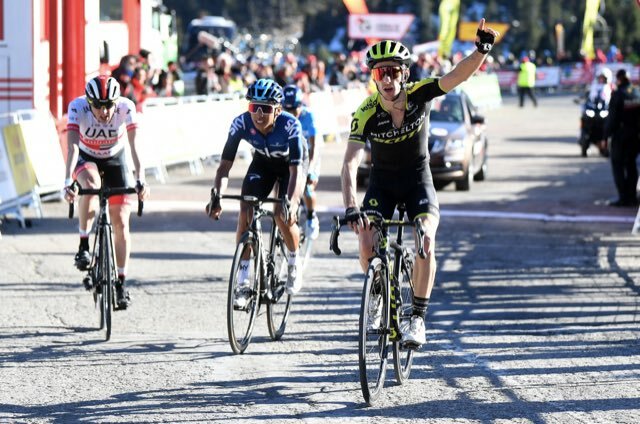 Yates produced a brilliant final kick on the closing turn to hold off Team Sky’s Egan Bernal and Dan Martin (UAE Team Emirates) at the conclusion of today’s 179 kilometer stage from Sant Feliu de Guíxols to the summit of the Vallter 2000 ski resort. Meanwhile, race hopeful Nairo Quintana finished fourth ahead of Astana Pro’s Miguel Angel Lopez. Yates has now closed the gap on race leader Thomas De Gendt, coming within 27 seconds of the Belgian rider, while also moving into third spot in the overall classification. The first big escape of the day occurred on the climb of the Category 3 Alt de la Ganga after 17 kilometers of racing. Eleven riders, mostly from wildcard teams, later opened up an advantage of around five minutes over the peloton. Meanwhile, De Gendt’s Lotto-Soudal, Valverde’s Movistar and Steven Kruijswijk’s Jumbo-Visma were all working hard at reducing the gap. 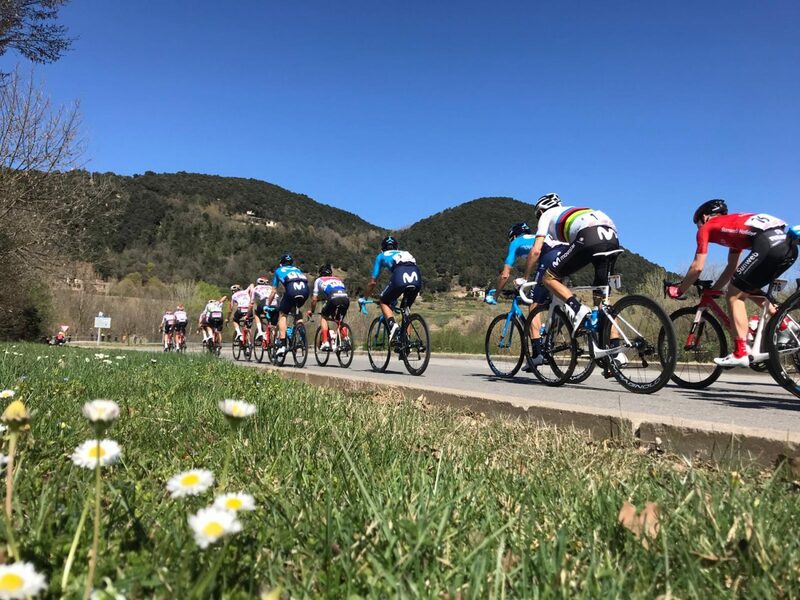 During the next two climbs of the Port d’Oix and the Port de Rocabeuna, the peloton was successful at bringing down the escapees’ lead, with Caja Rural’s Álvaro Cuadros later inching closer to De Gendt’s KOM jersey. The escapees were still clinging to a 3 minute buffer at the foot of Vallter 2000. But, a steady headwind continued to decant the breakaway. At one point, only Bert-Jan Lindeman (Jumbo-Visma) and Roompot-Charles’ Pieter Weening remained up front, while Team Sky continued to apply the pressure – eventually leading to their capture. Bernal and Quintana were the first to attack from there. But, a lack of cohesion allowed Yates to reach them. The trio slowed up enough that Martin and Lopez were able to bridge their way to them as well. But, a determined Yates upped the pace again, dispatching all but Bernal who finished just behind the British rider.